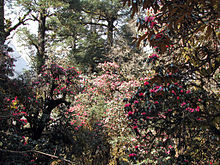 Davidian, H. H. The Rhododendron Species. In four volumes from 1982-1995. Timber Press. ISBN 0-917304-71-3, ISBN 0-88192-109-2, ISBN 0-88192-168-8, ISBN 0-88192-311-7.